One month on from the devastating 7.8 magnitude earthquake that struck Nepal on 25 April, aid agencies including ChildFund are working hard with local authorities to help children and families across the country who have lost homes, schools and loved ones. The number of people killed has now risen to 8,669, including the 154 people who lost their lives during the second major earthquake on May 12, making this the deadliest disaster ever to hit the small Himalayan nation. Another 16,808 people have been injured, and 384 people are still missing. Providing shelter before the monsoon and cold season, which is expected to begin in 2 to 3 weeks, remains a priority. According to government figures, half a million homes have been destroyed and another 269,190 damaged. An estimated 999,000 children will be unable to resume school on 31 May due to destroyed classrooms. With the rains, road obstructions caused by landslides in various places are likely to cut off road access, which may impact on the smooth delivery of relief materials and response to the victims in rural areas. ChildFund is providing emergency relief in the two districts where we already operated community development programmes – Sindhupalchok, one of Nepal’s worst-hit districts, and Ramechhap, where many houses collapsed in the 12 May earthquake. ChildFund’s immediate and long-term response will focus on food, shelter, water and sanitation, child protection, education and livelihoods. 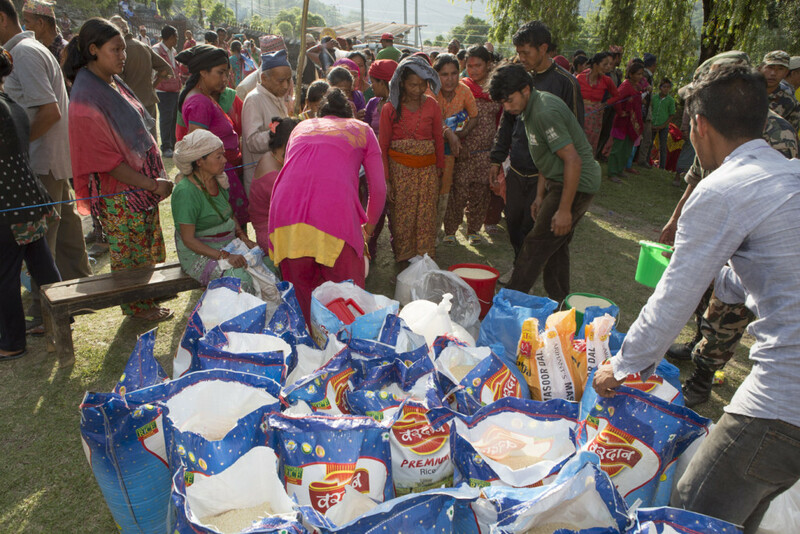 Within a week of the first quake hitting Nepal, ChildFund was the first organisation to deliver urgently need food supplies to children and families in four remote villages in Sindhupalchok. Over 46,000kg of essential food items – rice, dhal (lentils) and salt – were distributed to 3,179 families, benefitting more than 12,000 people. ChildFund has just completed a second distribution of food and non-food items for 924 households, benefitting an estimated 3,512 people. Based on UN recommendations, each family received 30kg rice, 4kg dhal, 1kg salt and 2 litres of cooking oil, which will support their dietary needs for 19 days. Most of these families whose homes have been destroyed also received tarps, to protect them from the upcoming monsoon season. Child protection is at the centre of ChildFund’s emergency response programmes because children become more vulnerable during emergencies. 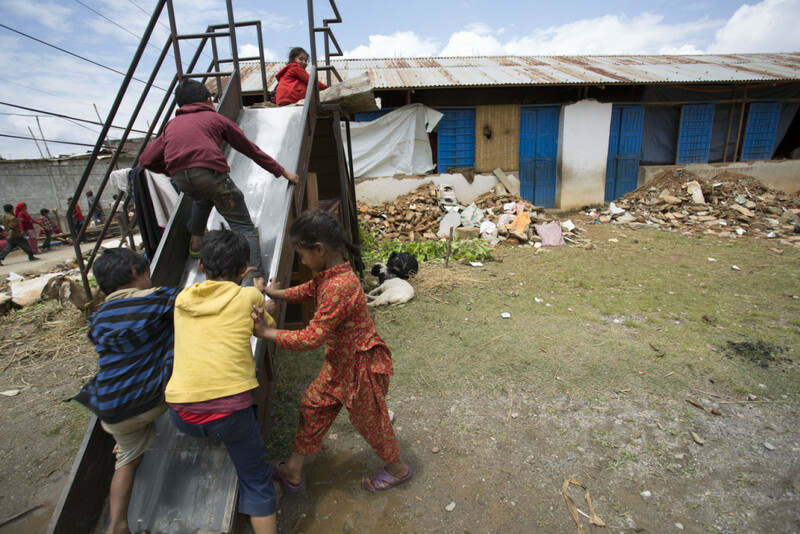 Children in Sindhupalchok need access to proper care and support so they can begin to recover from this disaster. With over 32,000 classrooms destroyed and another 15,352 damaged, Nepal’s Department of Education has requested assistance in the setting up of temporary learning centres to ensure children can return to their studies as soon as possible. In addition to the impact on facilities and buildings, children and their teachers require psychosocial support and the protective environment that emergency education provides. 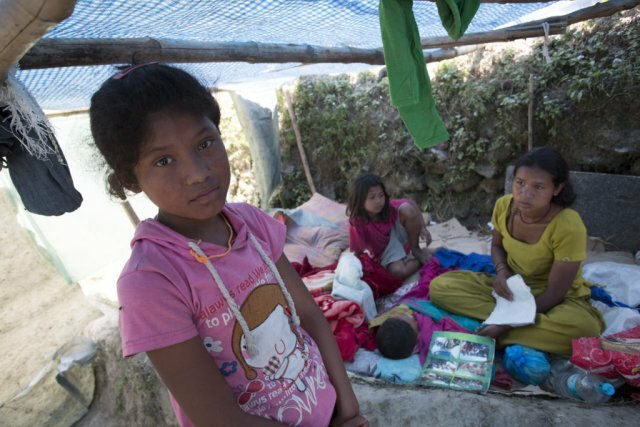 ChildFund is preparing to help set up 52 temporary learning shelters in Sindhupalchok and another 14 shelters in Ramechhap. In partnership with UNICEF, ChildFund has access to free educational, recreational and early childhood development kits to use at the shelters. ChildFund’s primary concern is for the safety and wellbeing of children affected by this terrible disaster. While it is reassuring that aid is getting through, huge challenges remain and it will be a long road to recovery for these children and their families. Your donation remains urgently needed to provide emergency assistance for children and families affected by these two powerful earthquakes – please donate now! If you have already donated, we thank you very much for your generosity, and ask you to spread the word to your family, friends and colleagues so that they can donate as well.